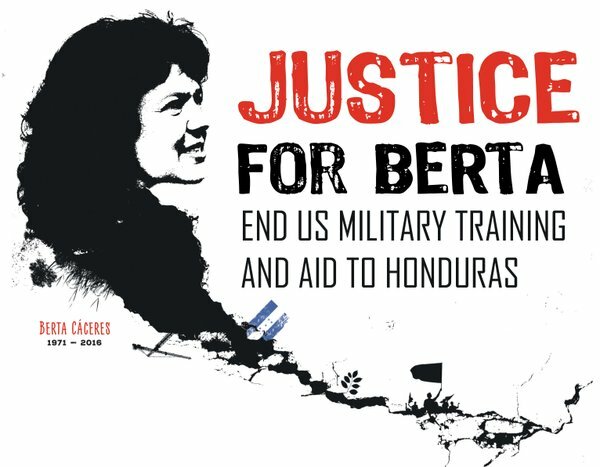 The Berta Caceres Human Rights in Honduras Act, which would cut off military and police aid to Honduras until impunity for their human rights violations ceases, is due to be reintroduced in a couple of weeks. Rep. Hank Johnson has contacted the 70 Representatives who co-sponsored the bill with him during the last session of Congress to ask them to sign on again to show strength of support when the bill is reintroduced. Those from Illinois who signed on in the 2017-2018 session of Congress are Reps. Rush, Lipinski, Quigley, Danny Davis, Schakowsky, and Foster. The bill never got out of the Foreign Affairs Committee during the last two sessions of Congress with the Republican majority in the House of Representatives. There is a chance that with a Democratic majority and new progressives in office, it will advance to the floor of the House for a vote. In Illinois, we must contact new Representatives Jesus “Chuy” Garcia (IL-4) and Sean Casten (IL-6) for their support on this bill. CRLN staff and board members will be in DC April 4-8 and will take letters to all Illinois members of Congress at that time. The letters will include a request to support this bill if it has been reintroduced by then, or to cut off military and police aid by other means if the bill has not been reintroduced yet. Email shunter-smith@crln.org with name and address if you give us permission to add your name to your members of Congress’ letters. Berta Caceres was an inspired feminist, indigenous rights and environmental activist and leader who was murdered on March 2, 2016. While her case went to court and some of those involved in her assassination were convicted, the intellectual authors of her death have yet to be held accountable, according to her family and an international panel of experts who investigated the case. Berta’s family’s and her organization COPINH’s persistence, along with International solidarity efforts with the family and COPINH, was key to getting her case tried in court at all. Honduras now has an illegal President, Juan Orlando Hernandez, who “won” an election for a second term that was prohibited by the Honduran constitution, and who shut down the vote counting computers repeatedly to tamper with the election results. He is one of the golpistas, one who was behind the 2009 coup, and he is already planning his re-election campaign for 2021. He has consolidated power through appointments of friends in all branches of government and is a dictator in everything but name. There is a direct connection between his misuse of power and the tens of thousands of people leaving Honduras in a mass exodus on the “caravans.” His brother, a former Honduran Congressman, was recently arrested in Miami and charged with being a major mover of cocaine into the U.S., and his personally appointed national police chief has a history of accepting bribes from drug cartels. He has sought the arrest and conviction of journalists and opposition political figures who try to bring such crimes to light. The corruption of his administration is another reason we should not be sending aid to Honduras.